"Raw" foods are uncooked, unprocessed and often organic foods. Proponents of "raw foodism" believe that the greater the percentage of raw food in the diet, the greater the health benefits. Many raw-food products exclude grain ingredients and, by their nature, are gluten free. The Greenwood Kitchen's small-batch raw snacks and baked goods are preservative and additive free. Owner Jaynel Hollis, a Lansdowne, Pennsylvania resident who has celiac disease and is a vegetarian, began creating her own vegan and gluten-free snacks after she became displeased with the dearth of healthier options. Her company's raw snacks include delicious Chocolate Fudge Macaroons, which are crafted with unsulfured coconut and sweetened with organic agave nectar. (Other varieties include Vanilla Almond, Peanut Butter, Mint Chip, Chai Tea and Orange Ginger.) My older son devoured the chewy Walnut Fig Granola, with hints of vanilla extract and sea salt. I liked nibbling on the Cacao Raisin Crisps, cinnamony chips of buckwheat flecked with raisins. While the Gluten Free Philly household demurred from trying the new Garlic Spinach Chips because of the strong scent, a vegan co-worker at my office who tried the chips loved them. Jaynel also bakes gluten-free and vegan breads and sweets. 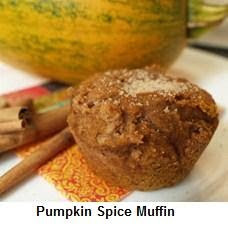 Of the two kinds of muffins we tried, our unanimous preference was the moist nutmeg-imbued Pumpkin Spice variety over the Spiced Zucchini flavor. Oatmeal Raisin, Gingersnap, Chocolate Chip and Double Chocolate Chip comprise The Greenwood Kitchen's line of cookies, which we didn't have an opportunity to sample. The Greenwood Kitchen's products are available in Philadelphia at Milk & Honey Market, Pumpkin Market, Green Aisle Grocery and the Fair Food Farmstand, at suburban natural food stores, and online through Etsy. The full list of area locations is posted on the company's website. I went to Pumpkin market yesterday and picked up a Chocolate Chip and Oatmeal Raisin cookie by Greenwood Kitchen. They were both delicious! 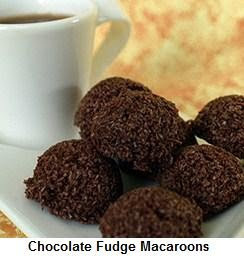 I also grabbed the Chocolate Fudge macaroons, which I let a friend sample (as I was too full from the cookies). She loved them! A bag of granola is still waiting for me, and I can't wait to give it a taste. Overall, I'm quite happy with their products, and Pumpkin market has a wonderful selection of them!